Fluoride is set to be added to drinking water throughout England and Wales despite controversy over the long-term health effects, it emerged yesterday. The law is expected to be changed so that local authorities can compel water companies to add fluoride to water. Environmentalists and consumer groups, who believe fluoridation has links to cancer, Down's syndrome and infant mortality, and can also damage bones, will be angered by the Department of Health policy. Up to half of people drinking fluoridated water also exhibit a condition known as dental fluorosis - a mottling of the teeth. Mass fluoridation has been blocked in several European countries and 50 U.S. cities, but studies have shown that the substance reduces tooth decay among children. The NHS Centre for Reviews and Dissemination found that children in fluoridated areas suffered 15 per cent less decay, because the enamel on their teeth was hardened, while there was no evidence of a bad effect on health. Currently, about one in ten people in Britain drinks fluoridated water, with some companies adding it, while others refuse to. Amendments to the Water Bill, expected to be introduced later this month, will shift responsibility for treating water from water companies to regional strategic health authorities. Campaigners say such bodies are more likely to agree to fluoridation. It added that opponents were in the minority and 'should not be allowed to deprive health communities from opting for fluoridation by insisting on an indefinite research programme'. The ministers also pointed out the British Dental Association supported fluoridation. Research revealed children's teeth were three times healthier in and around Birmingham, where tap water has been fluoridated for nearly 40 years, than in Manchester, where it is not. 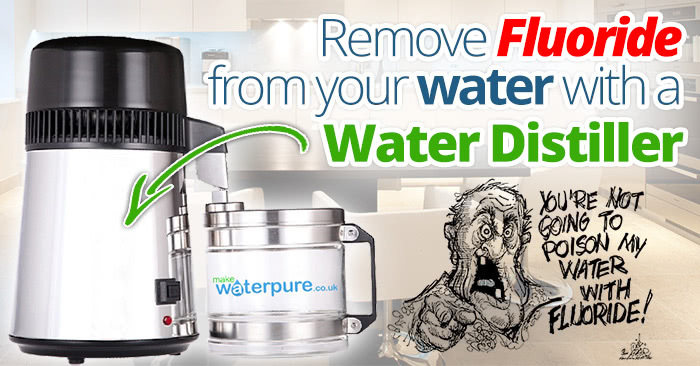 About five million people in England already have fluoride added to their tap water - in Birmingham, the West Midlands, and Tyneside - while another 500,000 on the eastern coastline get naturally fluoridated-water. But Jane Jones, campaign director of the National Pure Water Association, said: 'There will undoubtedly be a huge row about the renewed proposal to add fluoride to drinking water on a wide scale in the UK. A Department of Health spokesman said: 'The Government will be encouraging health authorities with particular dental health problems to consider fluoridating. The fluoridation of water involves the addition of chemicals based on the element fluorine. The substances also occur naturally in vegetables such as endive and curly kale.